What are your dog licencing and doggy parent responsibilities in Jersey? Are you a doggy parent in Jersey, or thinking of becoming one? As a doggy parent in Jersey, you have to submit the dog licence application form to the parish you live in by 31 January each year.  You’ll need to give details of each of your dogs and pay a fee of £5 per doggy. If your licence form is received after 31 January, you’ll be charged an extra £10 per pooch. All dogs aged six months or more must be licensed each year under the Dogs (Jersey) Law 1961. Each licence is specific to one doggy and can’t be transferred to another. Your pooch must wear a collar and tag inscribed with your name, address, and contact number when in any public place or highway. This will help reunite you and your best buddy if he or she wanders off, and helps you to avoid incurring collection and housing charges. If your four-legged friend doesn’t have an inscribed collar, you risk being fined. You can take your best friend onto any Jersey beach at any time, but between 1 May and 30 September, they must be kept on a lead between 10.30am and 6pm. Dogs are welcome into any of the above parks, as long as they are kept on a lead and within the confines of established paths while in the park. Please feel free to bring your doggy with you into any of these parks but please ensure they are kept on a lead whilst in the park. Dogs are welcome in all of these parks. Unfortunately no dogs or animals may be taken into Howard Davis Park. If you’re near livestock, please keep your dog on a lead as it is an offence to allow your dog to worry livestock. Please bag your dog’s poop and leave it in a suitable bin (often labelled as accepting dog poop). It’s your duty to clean up after your furry friend and you can be fined up to £1000 if you don’t. If you find a stray doggy without a tag, he or she should be reported to the duty Centenier or the parish hall of the parish where the dog is found. If you find a dog with a tag, try to contact their owner first. Unidentified stray dogs will be taken into care and the owner will have to pay for collection and housing costs (£70 per dog and £19 per day for housing). Dogs which aren’t claimed within seven days will be re-homed or sold. If your doggy is lost, you should report it to the duty Centenier or parish hall.